The use of the word basta in modern and everyday English is less common because either unknown or considered archaic. In modern English literature books, the word is replaced with the expression ‘enough is enough’. BASTA! is not just an online shop or another catchy logo. It is research-based project that aims at responding to the 9 weaknesses identified in today’s practices of social and political activism. 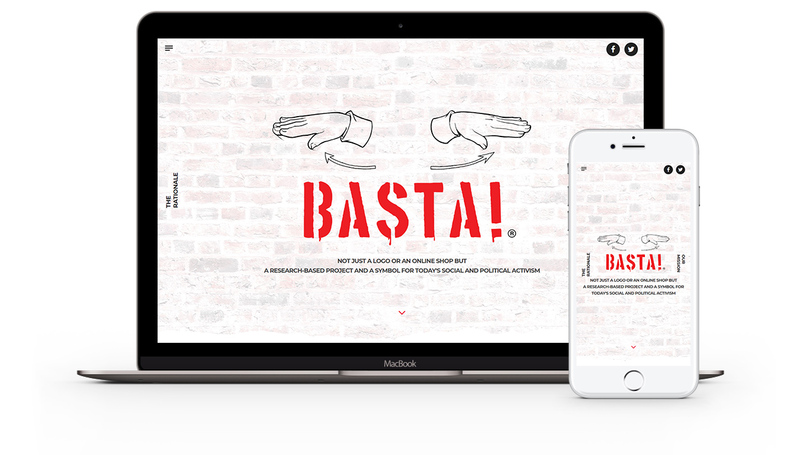 We were commissioned to produce an eye-catching website that conveys the meaning of the BASTA symbol, and engages the users in a way to make them read more about the movement. Built in WordPress, mobile-friendly and boasting an online store, BASTA! Store Online, is a research-based project and a symbol for today’s social and political activism.